Home > AMT Blog > So – What do we listen to? So – What do we listen to? Working in a live music venue that presents such a wide array of concerts is a ton of fun, especially for a music lover such as myself. Day in and day out I listen to music from the artists that are coming to AMT, tunes from our Original Shows, and the majority of my time is spent discovering new, and exciting music. So – what do we listen to? For this post, I’ll focus on some more rock-based acts that have caught my ears over the past few years. This group is one of my favorite modern acts. If you dig classic rock, you’ll probably like this group. They dabble with R&B, metal, and country with their tunes, but at their core, they’re a rock band. Also, they put on amazing live shows that seem to never end. 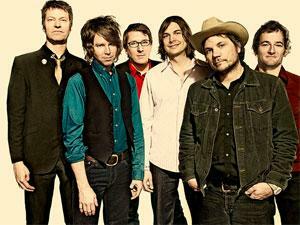 An act that has been around for quite some time but never seems to get old is Wilco. They’ve taken their americana sound through a few different iterations but they’ve all been good. They have more than a couple critically acclaimed albums to their names and rightfully so. The lead singer, Jeff Tweedy, has a love for great music (he recently produced Mavis Staples Grammy award-winning album), and he seems to carry some of his Beatles influences into his music. It’s just quality music that people young and old can love. This Baltimore native has honed the craft of raucous rock and roll. Think of Jerry Lee Lewis wailing on the piano with some Angus Young guitars and one of the coolest voices you can imagine and you have J. Roddy’s sound. You can hear the music that inspires him in his tracks, too. All in all, it’s quite fantastic.